We all like a bit of friendly competition, don’t we? This year’s sequel to the well received F1 2010 from Codemasters adds the ability to play an entire season alongside one of your friends online. Instead of racing with an A.I. Team-mate, players will be able to have a human controlled team-mate. Make your own racing orders, regardless of how illegal it is or race fairly… Until the last lap when you smash your team-mate off at the last corner to take victory for yourself, laughing maniacally. Below is the press release for this game mode, including where you can find all the latest news on F1 2011. Or you could come back here to GamEvolution, where we will keep you up to date. 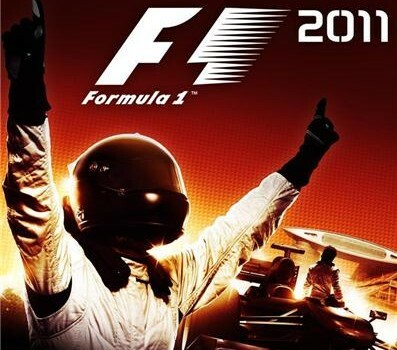 Codemasters® has today released the third in its series of F1 2011™ Developer Diaries. The video features gameplay footage and reveals the new Co-op Championship mode that allows two players to drive for the same FORMULA ONE™ team in pursuit of the coveted FIA FORMULA ONE CONSTRUCTORS’ WORLD CHAMPIONSHIP. F1 2011 will feature all of the official teams, drivers and circuits from the highly anticipated 2011 FIA FORMULA ONE WORLD CHAMPIONSHIP™ including the current FIA FORMULA ONE DRIVERS’ WORLD CHAMPION Sebastian Vettel. The 2011 season also sees the debut of the 2011 FORMULA 1 AIRTEL GRAND PRIX OF INDIA at Delhi’s Buddh International Circuit and the return of the iconic Nürburgring to the calendar. F1 2011 launches for the Xbox 360® video game and entertainment system from Microsoft®, PlayStation®3 computer entertainment system and PC Games For Windows® on September 23rd. Bespoke handheld editions of F1 2011 are also in production for Nintendo 3DS™ and PlayStation® Vita, each designed to take advantage of the new platforms’ unique capabilities; specific release dates for the handheld editions are to be announced. To get all the news straight from the studio race over to www.facebook.com/formula1gameor follow the team on twitter at www.twitter.com/formula1game.